View BTO publications available directly from BTO and recommended retailers. Fieldguidess for every use, and new books on the best of bird photography and observations on House Martins. View our books and guides. Browse our range of ethically-produced, organic cotton clothing. The BTO has teamed up with Teemill to offer a range of organic cotton clothing and accessories, proceeds of which go to funding our research. All our t-shirts, tops, sweatshirts and tote bags are printed in the UK on premium quality 100% organic cotton made in an ethically accredited wind-powered factory. 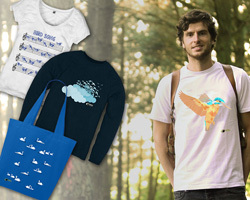 Browse the BTO clothing range and make a purchase today - via our partner Teemill's external website. Supplies and reference guides for registered and trainee ringers. 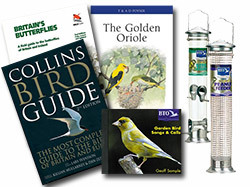 The BTO continues to supply items to Ringers directly. Some items require a Ringer's registration number to purchase - either due to legal restrictions or reduced pricing for Ringers. 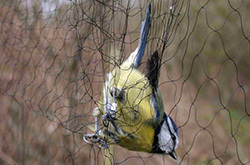 Go to BTO Ringing Sales. Go to the BTO shop for general sales.